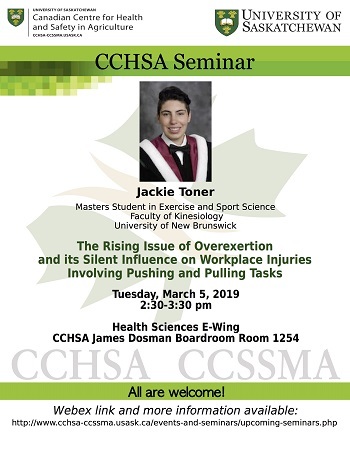 ﻿The CCHSA seminar is a weekly lecture delivered by invited speakers on Tuesdays from 2:30-3:30 during the school term. 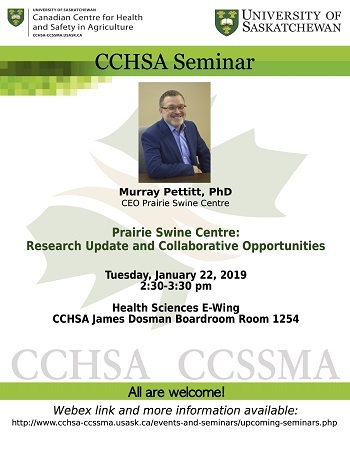 Topics include current issues in agricultural and rural health research and practice. 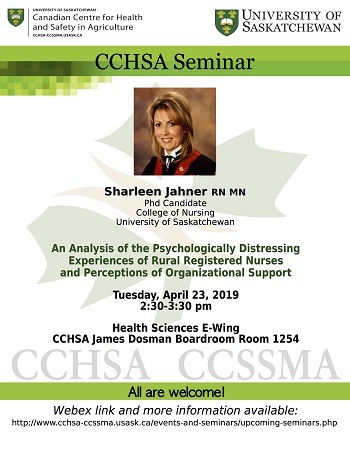 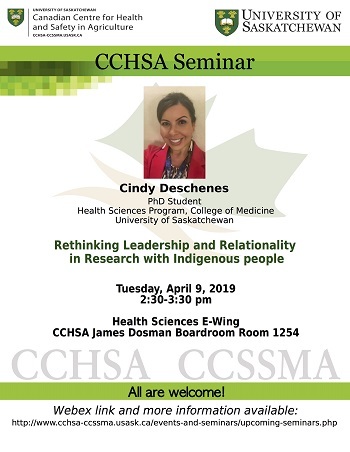 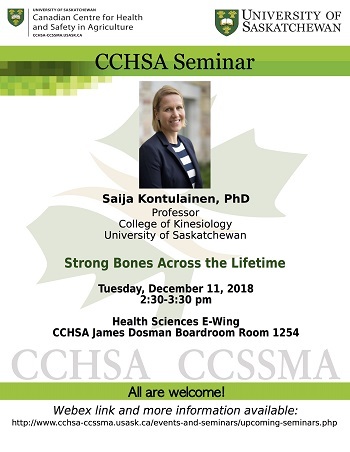 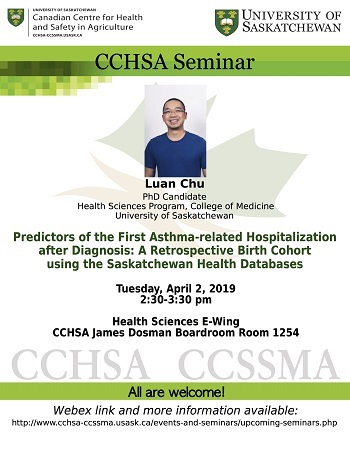 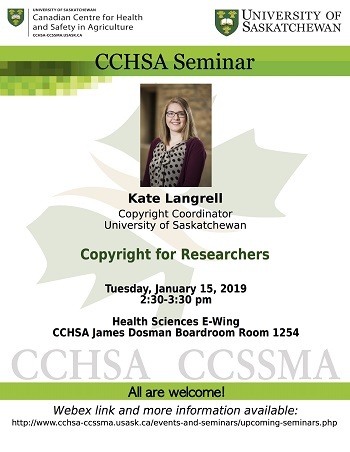 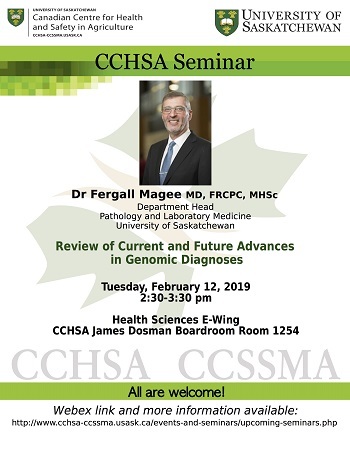 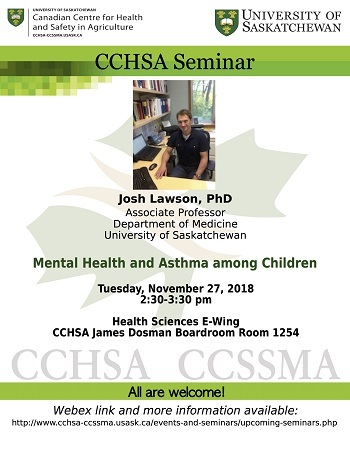 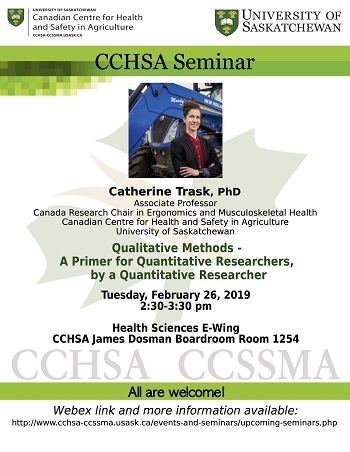 Seminar speakers include those affiliated with CCHSA, with other departments at U of S, and visitors to the university such as those from other institutions or government. 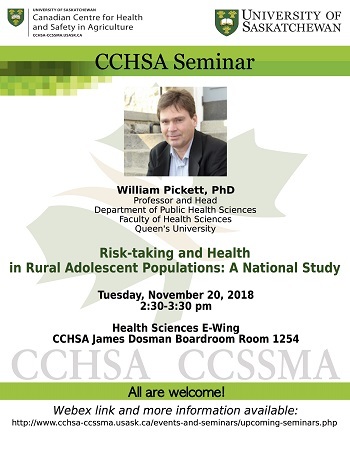 We encourage presentations from students, researchers, Centre staff, and practitioners. 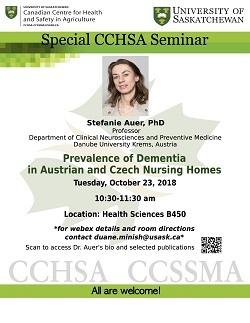 The 30 to 40-min presentation format emphasizes discussion of topics and encourages participant interaction with speakers. 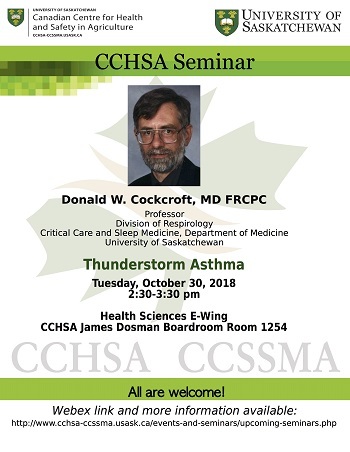 Seminars are held in James Dosman Boardroom (E-wing 1254). 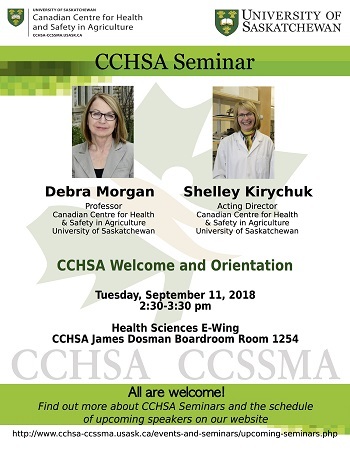 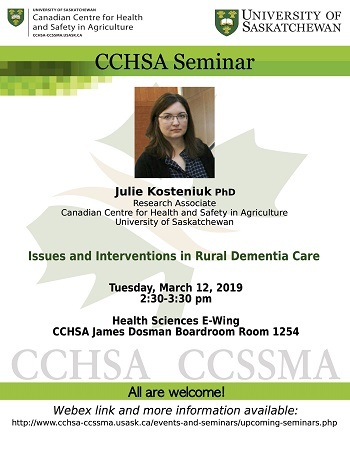 If you would like to present at the seminar or nominate another presenter, please contact the seminar coordinators Debra Morgan and Julie Kosteniuk. 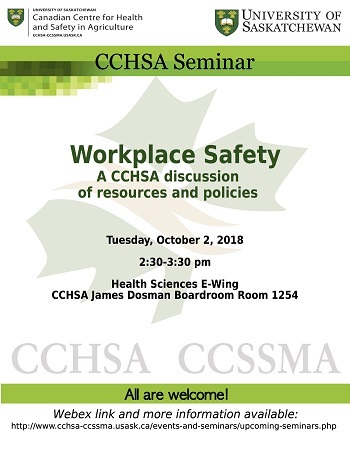 The CCHSA WebEx Seminar will become active at 2:15 pm to allow participants to join before the seminar begins at 2:30 pm. 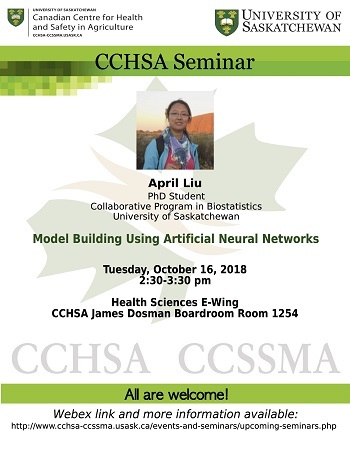 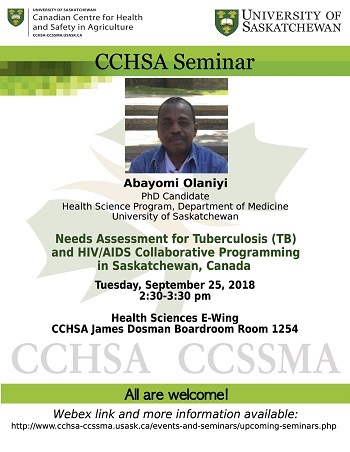 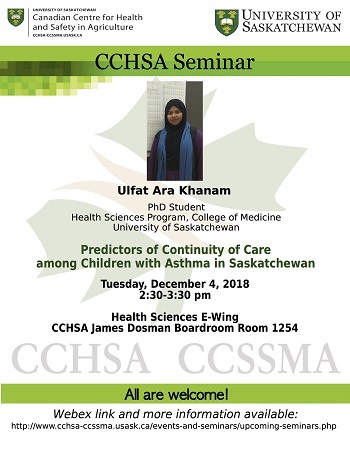 Go to: https://usask.webex.com/usask/j.php?MTID=maebef31ef094c42df49bbbffd28e029b and enter your name and click the “Join Meeting” button. 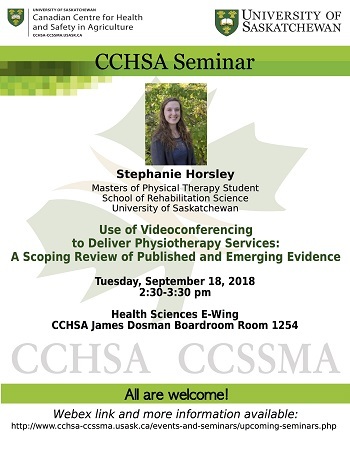 Connect to audio – you can call using your computer to use your attached speakers, or you can call using a phone (enter your phone number to have WebEx call you direct) for the session audio. 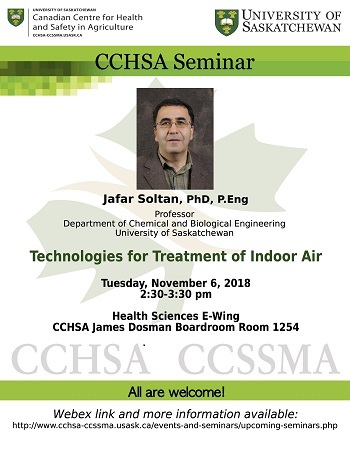 Participant microphones will be muted. 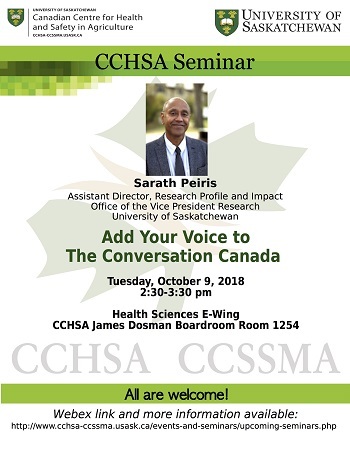 You may post questions in the chat box to the host. 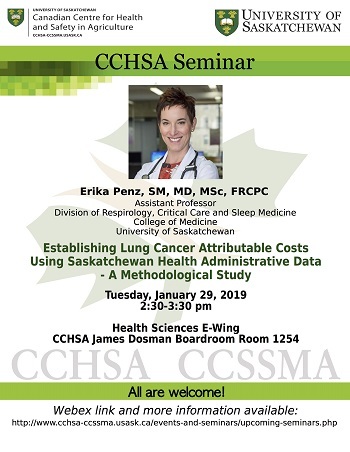 CCHSA Seminar tends be about 1 hour long: 30-45 minute presentation and 15-20 minutes of question and answer. 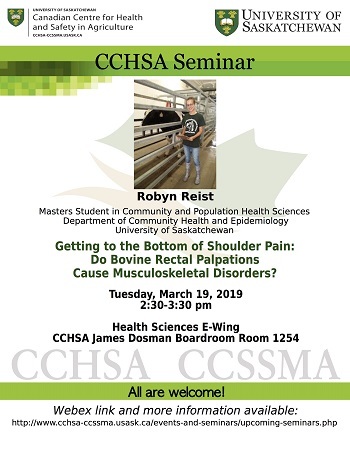 Getting to the Bottom of Shoulder Pain: Do Bovine Rectal Palpations Cause Musculoskeletal Disorders? 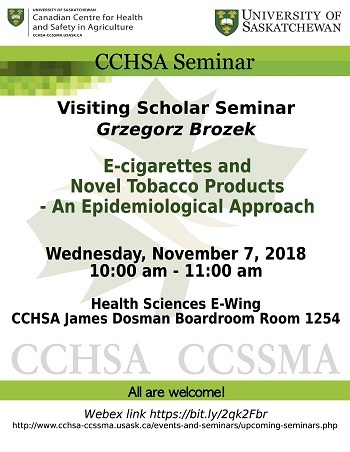 E-cigarettes and Novel tobacco Products - An Epidemiological Approach. 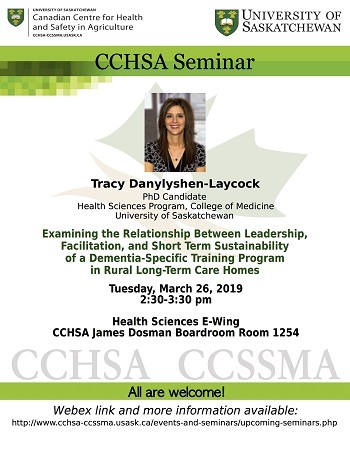 For webex details contact dpm142@mail.usask.ca - 10:00 - 11:00.